Last week I found myself playing a head’s-up Cube match against my friend Mike. I was handily crushing him (obviously) and our other friend Kevin asked me, “Do you always just draft blue/red?” It’s not my fault! They’re the best cards, after all. Throughout the history of Magic there is some truth to there being a disproportionate number of degenerate blue cards, though the same can’t be said for red, and certainly not for the particular strategy I tend to favor. There’s a lot more going on here, and some underlying themes that I believe lend to my success in the Modern format. The first Magic deck I ever owned I bought from the person who taught me how to play. It featured such hits as Sand Squid and Prodigal Sorcerer. More importantly, it featured the full set of Counterspells. For as long as I have been playing Magic, leveraging my mana and Counterspells has been a skill that I was very focused on. That was almost fifteen years ago, and with that much experience I consider myself an expert at playing mediocre threats alongside great answers. Something that I believe is misunderstood when other players talk about Grixis Delver is that Mana Leak and Spell Snare are extremely powerful cards. Permission decks benefit from the ability to trade on a one-for-one basis in terms of card economy while forcing the opponent to inefficiently use their mana. Spell Snare always trades up on mana, and Mana Leak will very often trade up on mana. If my win condition is Delver of Secrets, that means that I can play my threat while trading up against your threat or interaction in terms of mana on the same turn. Back in the day, I played a lot of Prodigal Sorcerers on five mana to insulate myself against a troublesome enchantment or creature slipping through, and leveraging tempo with mana-efficient answers is a skill that hasn’t really been relevant in Standard since Snapcaster Mage was legal. There was a short window after Pro Tour Kaladesh where Torrential Gearhulk was popular, and I was in heaven. Most control mirrors felt like byes, as leveraging mana in do-nothing mirrors has become a forgotten skill. As applied to Magic, what this means is that as we explore an archetype by studying the existing literature, we come closer to understanding everything that the best players know about that strategy. Eventually, if we’re good enough, we expand on this sum of knowledge. A great example of a game-changing idea is when Carlos Romão broke Psychatog mirrors by choosing not to fight counter wars over Fact or Fiction. Carlos learned a way to win the mirror that nobody had access to, and would crush the mirror until everybody else caught on. This expanded what blue mages needed to know to compete on the same level as the best players, and meant there was a new bar for how good you had to be to outperform them under the new paradigm. There’s a lot of empty space on the circle designated for the scope of existing human knowledge. This will similarly be true for a given player with regard to what is documented, as compared to what they understand, about Magic strategy. We like to laugh at players who stick to playing one type of strategy, though the reality is that they are acquiring some valuable specialized knowledge—assuming they have a good methodology for learning their deck. When we talk about the players who are excellent at the strategies that they prefer, their particular builds and in-game decisions stop making sense to regular humans like you and I. Tom Ross’s understanding of the Modern format breaks the threshold of what can be learned merely be studying existing data. He has explored the format extensively, and the best way for most of us to understand his success is to get that information from Tom himself. I wouldn’t think of playing Joe Lossett’s 75 in Legacy despite it being great, because it is built according to his play patterns and understanding of the format. Periodically there comes to be a Modern deck that outperforms the others by a wide margin, due to it fundamentally breaking the rules. Some examples from the past include Jund, Birthing Pod, and arguably, Amulet Bloom. In the current Modern environment there might be one deck that’s theoretically the best one to master, though I believe that trying to identify this deck will generally be less effective than understanding one of the playable decks at a high level. A caveat here is that when I use the word “playable” I don’t just mean one of the decks that people play. While I disagree with the notion of finding the best deck or a very small set of best decks, I am very much on board with stating that a lot of the decks that show up to a given Modern tournament are ill-advised choices. If your deck can’t offer a kill on about turn 3.5 and/or interact with a wide range of the decks than can, you are in all likelihood making a mistake registering that deck (assuming that your goal is to win the tournament). I won’t go into why these decks are in this order or by what margin, as putting the list here is supposed to be illustrative of a point. Even though I believe that Skred Red is a wildly underrated deck, ranked as the fifth best deck compared to Bant Eldrazi in eighth, there is nowhere near enough of a difference in quality between these two decks to jump ship in a short window if you know all of Bant Eldrazi’s intricacies and matchups very well. It’s a good idea to have some range of options in your arsenal, but this does not mean simply owning multiple Modern decks. It means putting the reps in and knowing your roles. Your biggest tests in Modern don’t come from knowing your sideboard plan against Dredge and Burn, they come from how you tackle matchups against the fringe decks. If you’re referencing a sideboard guide or playing somebody else’s list, you’re going to get thrown a lot of curve balls in most Modern fields. It’s likely that you have a sideboard guide for Infect, but what happens when you run into Izzet Kiln Fiend (also known as UR Prowess)? It’s similar enough to Infect, but do you actually have a plan? I think I’d leave that Night of Soul’s Betrayal in your sideboard. You’ll want it if those Young Pyromancers are coming in though… Path to Exile is great here, but can you keep a hand where your only interaction is Lightning Bolt? Even if you’re unfamiliar with this specific matchup, the more reps you have in with the deck you’re playing, the less overwhelming it will be to make these calls on the fly. When I sideboard against the known decks I pretty much do the same thing every time, though beyond that I know what the texture of more general matchup types looks like. My experience in Modern allows me to determine when I’m playing a Mana Leak matchup or a Terminate matchup, in much the same way that there are correct and incorrect spots for Blood Moon that less experienced players often mix up. I know that I have Spell Pierce in my sideboard for the matchups where I have to kill quickly, and that it won’t be effective in long games. This abstract understanding of how my 75 works makes navigating against the weird and wild decks that are possible in the format so much easier. As an advocate of Grixis Delver, trying to get other good players on the deck has been very difficult. In particular, if you started playing with Gray Merchant of Asphodels and Siege Rhinos in Standard, the play patterns will be strange to you. The best card in the deck is a two-mana 2/1 and the more proactively that you play it, the more likely you are to lose the game. A number of players were talking with Kevin Jones about the deck this weekend, and he even got Jim Davis to sleeve it up en route to Jim’s Invitational Top 8. It’s really cool to see more people coming around on the deck’s strengths. If you’re not used to a small-ball approach and just pick up the deck, Grixis Delver is a three out of ten. I believe that with tight play and a good build it’s more like a nine. There are small maindeck tweaks that you can make and more dramatic sideboard changes you can adopt based on metagame, though it’s a deck that I’ve been very happy with since the banning of Eye of Ugin. Grixis Delver likely has a wider range than many of the decks in Modern, though Infect is another great example of a deck that great players win way more with. Infect is probably like a five going in cold, and definitely a nine (if not a ten) in the hands of the best pilots. It’s going to be very difficult to quantify exactly where your skills are at with a given deck, especially when comparing to a different option for a given weekend, but what is clear is that playing what you know, or rather knowing what you choose to play, goes a long way in a non-rotating format riddled with masters of varying archetypes. Delver strategies in general have such a low curve and such a high business-to-land ratio, especially when combined with spell flexibility (Snapcaster, Bolt) and card selection/cantripping (Serum, Probe), that they can prove very difficult to master. Conversely, Modern is packed with linear decks that are close to auto-pilot and require relatively little skill to learn (Bant Eldrazi, RG Valakut, etc.). Given these factors, it’s no wonder format dabblers and pros alike generally favor the simpler decks, as they have limited time to spend on Modern. It seems like you agree that if Modern continues on its linear trajectory for a few years, Legacy regulars gravitate towards Modern as their own format loses support, and competent players dedicate more time to learning Modern’s intricacies, Delver will eventually pull a respectable metagame share. This is good news for any of us who like decision-heavy, skill-intensive games and trouble for the out-of-touch “Ban Blood Moon and Manamorphose” crowd who loved having access to a clear Tier 0 deck at GP Detroit. Thanks for a great reference article in defense of READING THE EXISTING LITERATURE! How do you analyze what a good hand is vs rw prison and skred? and how do you sideboard? Great article, I feel the same way about affinity, with good play and understanding of what’s important and the script of the matchup so to speak you can really make the deck top tier competitive and highly successful even in poor matchups or hostile metagames. Hey great article, thanks. 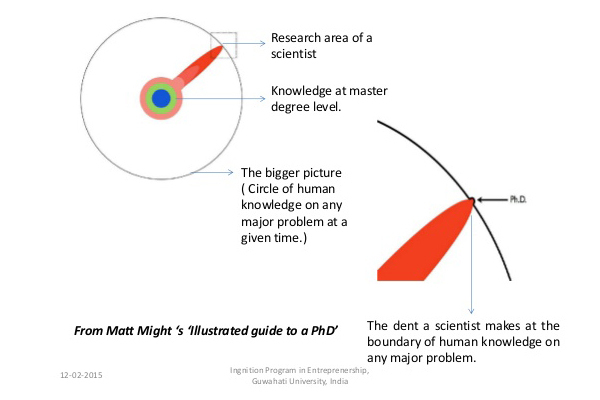 However I hope you’ll edit in a link to the source for your PhD graphic, because that guy’s site turns out to be all kinds of (non-MtG) awesome.